Engineers at the University of California San Diego have developed a breakthrough in electrolyte chemistry that enables lithium batteries to run at temperatures as low as -60 degrees Celsius with excellent performance—in comparison, today's lithium-ion batteries stop working at -20 degrees Celsius. The new electrolytes also enable electrochemical capacitors to run as low as -80 degrees Celsius—their current low temperature limit is -40 degrees Celsius. While the technology enables extreme low temperature operation, high performance at room temperature is still maintained. The new electrolyte chemistry could also increase the energy density and improve the safety of lithium batteries and electrochemical capacitors. 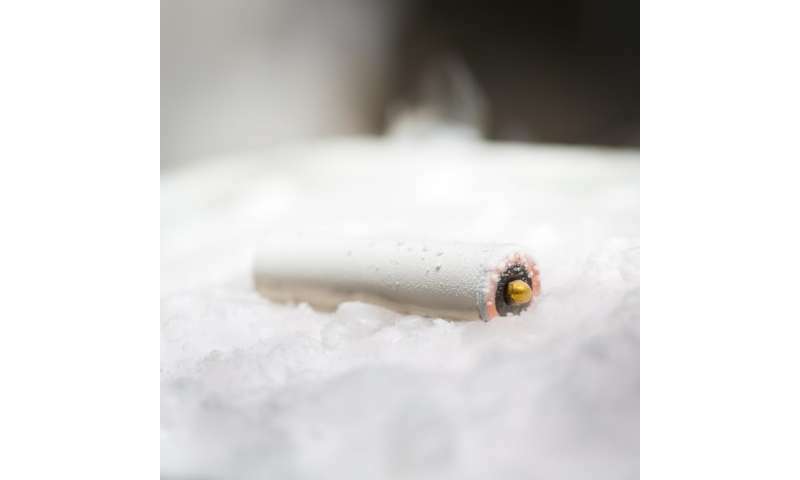 The batteries and electrochemical capacitors the researchers developed are especially cold hardy because their electrolytes are made from liquefied gas solvents—gases that are liquefied under moderate pressures—which are far more resistant to freezing than standard liquid electrolytes. The new lithium battery electrolyte was made using liquefied fluoromethane gas. The electrochemical capacitor electrolyte was made using liquefied difluoromethane gas. In pursuing this project, the UC San Diego team realized that gases have a property that would make them work particularly well at temperatures where conventional liquid electrolytes would freeze—low viscosity. "Low viscosity leads to high ion mobility, which means high conductivity for the battery or capacitor, even in the extreme cold," Rustomji said. Moving forward, researchers aim to improve the energy density and cyclability of both batteries and electrochemical capacitors and to run at even lower temperatures—down to -100 degrees Celsius. This work could lead to the development of new technology to power spacecraft sent to explore the outer planets such as Jupiter and Saturn. It's worse than that. 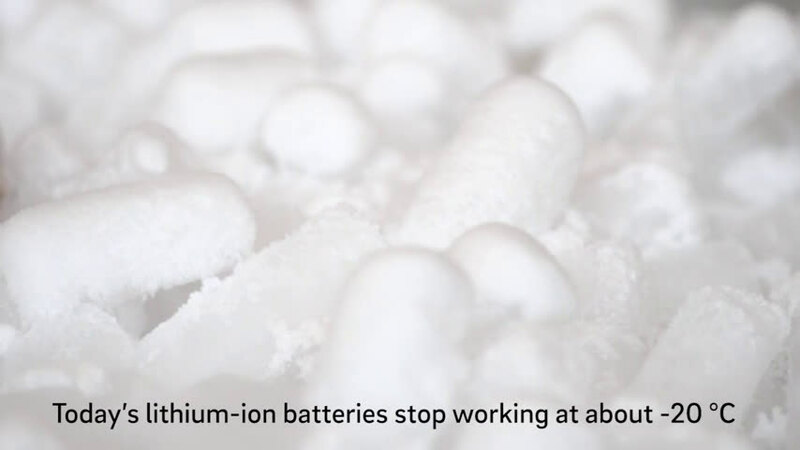 Today's lithium cells "work" down to -20 degrees, but their performance collapses around 0 degrees C, and attempting to recharge them at that state will result in accelerated damage to the cells. That's why e.g. the e-Golf car won't accept a quick charge from a DC charging point when its batteries are cold - and that's a problem because it hasn't got battery heaters, so you may get stranded in the winter.